Our goal is to make entertaining apps and also make simple helpful apps for all. 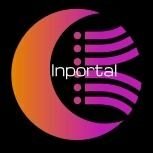 Welcome to Inportal Enertainment. Here we make games just like other big companies such as Ubisoft and Treyarch. We will be making unique games that almost anyone will like. These games as we say will keep you forever entertained. We currently haven't released our first game but somewhere else on the site there will be an article telling you about the game that we are working on. We know you will enjoy the game once it comes out. All of our downloadable apps. On December 25th we will launch development on our new game Izveide. I know this company has started off slow, but that is because we were using a HP Pavilion from about five years ago, and a Mac Desktop. On December 25th we will be replacing the HP with an OMEN 870 desktop by HP. This will help us launch our new game. Hello as you may be thinking by the title of this article. Izveide is our first game. It is in development and development will really increase after December 25th when we start using our new OMEN computers to get things done. Now let me tell you a little bit about the game. So when you start the game you will be able to choose one of five kingdoms in the campaign, and you will proceed through the campaign and defeat any other threatening kingdom that goes against you. In the end of the campaign your goal is to become the king of the kingdom. Their will also be a multiplayer option where you will be able to choose the kingdom you fight in. These servers will have a lot of users in them. The last kingdom standing will win. We will announce new game modes once the game is released. We will have images of the game once development starts. + I accidentally said that you got to choose the kingdom you want to be in, inside the campaign. That is not true. You only get to choose your kingdom in multiplayer. As you may know from the title of this article, that Inportal Simple is shutting down. In fact it has already been removed from the website. If you don't know what Inportal Simple is/was, then let me tell you. Inportal Simple was a small branch of our company that we started to keep you entertained before our first game. At the time that I am typing this article our first game still hasn't come out yet. Now let me get back to what I was talking about. So it was a small branch that released simple apps on our website for download. They were free and they normally month long apps that were like a challenge or something. Recently we realized that we have been focusing on these Inportal Simple apps more than our first game. So I as the owner of the company decided to shut Inportal Simple down so that we can focus on the game more. I hope all of you that did like Inportal Simple can understand what I am trying to say. I might consider reopening Inportal Simple when the company becomes larger and production increases.